Let’s talk books! Ever discovered a new-to-you author and then spent several happy fangirl months wallowing in their backlist? Maybe you avoided them because they write steampunk and you’re still confused about what that is, or thinking a NYT stalwart couldn’t possibly live up to the hype. Maybe you decided years ago that suspense novels leave you colder than the dead bodies within their pages. For whatever reason – and I’ve been guilty of all the above – certain authors have passed you by. So this post I’m plugging some new-to-you authors and hopefully hearing about yours. 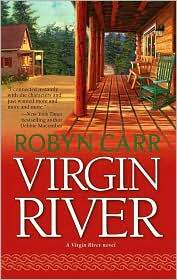 Robyn Carr – A Harlequin superstar, her Virgin River series continues to grow in popularity with every book. I read the first one, (yep, called Virgin River) and was hooked. What I love most about Carr’s books is that her characters are grown ups. There are no plot contrivances, no forced misunderstandings. Carr heroes and heroines are good people who tell each other the truth and the conflicts keeping them apart are real and honest and consequently intensely moving. I have no idea how this master storyteller puts pace into these gentle, meandering stories but she does. 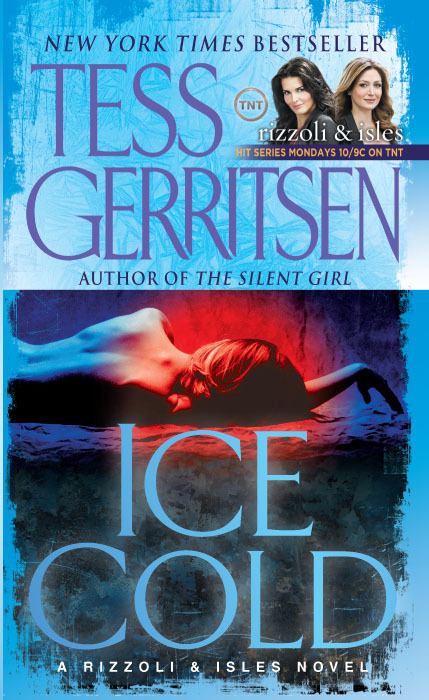 Tess Gerritson - Came in on book eight of her Rizzoli & Isles series and it didn’t matter. Her writing is lean and muscular, her characters complex. Not romance, though both women have ongoing love interests. It doesn’t matter, she’s that good. Meljean Brooks - Steampunk…Um. Jules Verne-ish stories that mix fantastical machines with Regency. Sounds like work. Then I read Meljean Brook’s novella in an anthology called Burning Up which I bought for Nalini Singh. Brooks worldbuilding and unique characters sold me on her Iron Seas series. I’ve already pre-ordered her September release, Riveted. These are all established writers, but if you’ve uncovered a debut gem I’d love to get in on the ground floor. 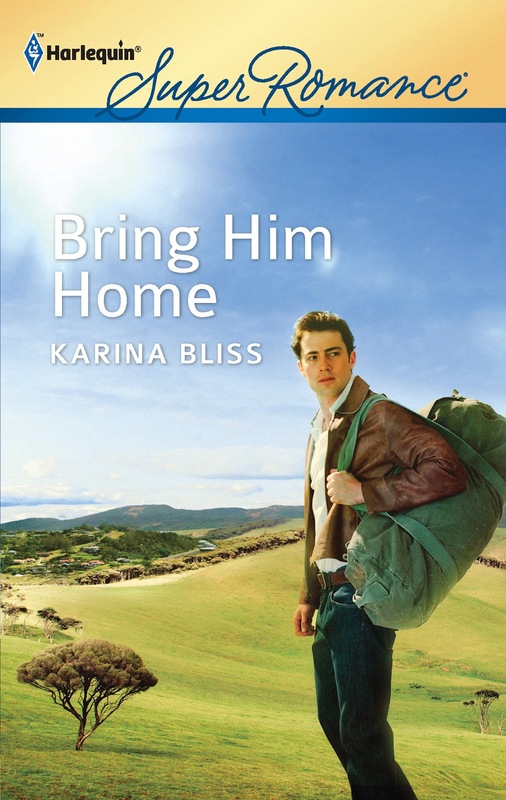 Comment and go into the draw for a copy of my June release BRING HIM HOME, or if you already have it a choice from any of my backlist (except MR IMPERFECT, I’m out of those). I've read & really enjoy Robyn & Tess's books! I'm guilty of passing by steampunk, cause I'm not a huge syfy kinda person. Maybe I ought to give Meljean a chance, huh? Thanks for sharing with us Karina! Karina, I LOVE Tess Gerritsen. She knocks my socks off every time. I currently have Meljean Brooks's THE IRON DUKE in my TBR pile. You recommendation is great incentive to move her to the top! Robyn Carr is a wonderful author, too. I recently discovered Jodi Thomas, in particular her Harmony series. She writes heartwarming, small-town fiction. It sounds light, but her novels have depth and some grit. She's an amazing writer! I have to say that I wasn't big on military books until I read Rogenna Brewer's Marry me, Marine. Then I needed to read them all. And I was not all that keen on sports stories until I read Ellen Hartman's Calling the Shots. So, Long Shot was a must read as well. Love Tess's books. I watch the show even though those characters only have the basics of the two book character's down. I have to say I pretty much hate Maura on the TV show, but I love her in the books - she's cold and scientific...and not nearly as arrogant and fussy as the TV character. I've not read Robyn Carr or any steam punk. Right now, based on the recs from Harlequin boards, I'm going to pick up Shannon Stacey. Got her newest on the kindle. But I'll put Robyn on the list! So many books, so little time! I've not read too many military books...maybe because my husband was in the military as a dentist. Something not so "hot" about that. LOL. I think I was the last person on the planet to read Diana Gabaldon's Outlander series, but once I found them I devoured them. Can't wait for the next one to come out this fall! 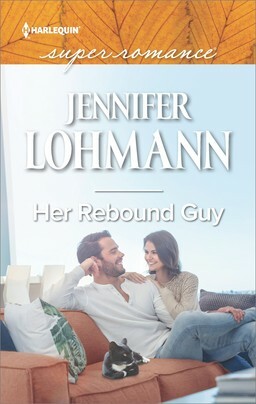 Have BRING HIM HOME up next in my TBR pile and can't wait to read it! My mom sent me a stack of her books two weeks ago and I'm so happily wading through. Love Ms. Chase! Liz--I think plenty of people (including me!) love sports romances. Linda S.--I'm so happy you liked The Long Shot! I'm enjoying Karen Rose Smith's long backlist. The best thing about finding a new author is discovering their backlist. The worst is learning they're a debut author. I discovered back lists for Francis Ray, Brenda Jackson, J. K. Rowling, and Steven James. I really loved plowing through the Harry Potter series after starting with Book 3, reading backward and forward at the same time. Same with Steven James' Patrick Bowers series. I'm pretty caught up on Ms. Ray but I'll probably never catch up to Ms. Jackson because she's so prolific. Karina, you all make me feel so behind on my reading. I can talk about The Book Thief and The Art of Fielding, but am going back at my romance pile now. Did make one foray into steampunk, but decided it was written at the editors request and not from the author's love. I'm sure there must be some fun steam stuff out there because the whole ideas is a hoot. It's always tough weighing up where you spend your book dollar. I mix it up with buying and borrowing. RW1010, Meljean's definitely worth a shot. I'm not a sci-fi reader either but a brilliant writer can make any genre work. And she's terrific on romance. 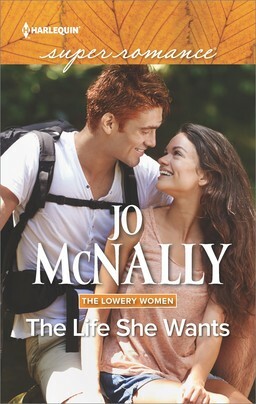 Mary S, Jodi Thomas is also on my radar...I keep hearing about you but I haven't read her yet. I'll start with her Harmony series on your recommendation. Thanks. Linda S. I love Rogenna's books and knowing she's ex military really gives them authenticity. I just finished Ellen's The Long Shot. It's terrific. Liz, we don't get the show here. Tess was a speaker at RWNZ conference last year, that's how I got into her books. I guess cold scientific characters like Maura work better written, you need t be in their point of view to make them likeable. Liz again...that comment was posted before I'd finished. I bought Shannon Stacey for my sister as a birthday present and am shamelessly waiting to borrow. Looking forward to reading your sports-themed book next month. Pamela, I was hooked on the Outlander series too but have faded off for some reason...I must get back to them. Beth, Robyn Carr's books are really great. I've learned a lot from them as a writer too. Give Virgin River a shot. Hope you enjoy Bring Him Home. Ellen, I have the same problem with Loretta Chase. Have I read her or haven't I? I know I need to read more though. jcp, Karen Rose is an author I haven't got around to yet. It seems I need about four reminders in a row to prod me into seeking out an author. So many books, so little time. Tammy, I didn't realize Evanovich's books were being made into movies. How was it? Patricia W. Ahh but the good thing about debut authors is that you can say, 'I discovered her AGES ago' when she becomes a NYT bestseller, which reflects your oh-so-discerning taste. Hey Mary, I can talk about The Book Thief too. I'm a bit slack on non romance reading so we're as bad as each other. Thanks Tammy, I'll check it out. I love finding new to me authors. It's usually my daughter who discovers them, then thrusts the books at me & says YOU MUST READ!!! This is how I found Terry Pratchett - a great favorite of my daughters. Small world, Marybelle, that's how I discovered Terry Pratchett myself, through my son. 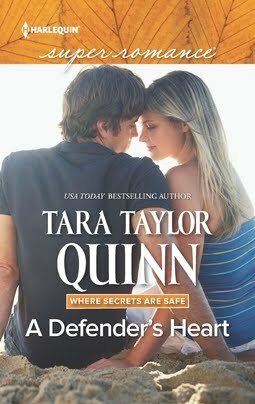 There are a lot of debut authors out in the Harlequin lines. 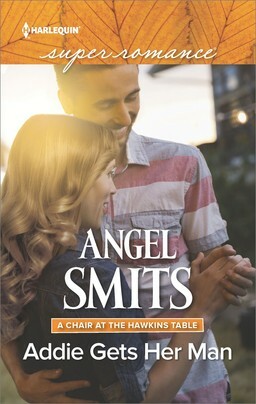 I like debut authors as they don't come with the big back list that I somehow always feel compelled to find. I tried Kieran Kramer a few days ago and are loving her stuff. She was a new to me author that turned out a new fav. Kaelee, know what you mean about a daunting backlist. I usually check out reader boards then and see what the consensus is on favourites and start there. Eli, just clarifying it's Meljean not Michele. Try the Burning Up anthology which gives you a grounding in the Iron Seas world and also the other great novellas by Nalini Singh, Virginia Kantra and Angela Knight. Jo's Daughter, will check out Kieren Kramer. Haven't heard of that author so I'm intrigued. Kathleen O, haven't heard of Katie Lane and Carolyn Brown either. Clearly I've been living under a rock! Thanks for the recs. First, I can't believe it took you so long to read Virgin River. And second, you have to read Meljean Brook's Guardian series, it's fantastic. The first two books are a bit hard to get into, but boy, I'm so glad I read them. It's one of my favorite series ever! Brie, weird that I hadn't read Robyn Carr I know...and even weirder that I haven't got to Meljean's other series. Thanks for the prod.